Created by the Board of Trustees, the Advisory Council's role is to advise the president, trustees and administration on matters of importance to Furman. The council represents the Furman community at large and advises the president on how Furman is perceived by the community. Members are appointed by the Board of Trustees and include leaders in their profession and community who are committed to Furman and its ideals. Meet our Advisory Council. The Furman University Alumni Board of Directors is comprised of approximately 30 volunteers. The board meets twice a year, in the spring and fall. Each member is voted onto the board and serves a total of five years. View the Alumni Board mission and roster. The Young Alumni Council (YAC) consists of 45 members who graduated from Furman no more than 15 years ago. YAC representatives promote young alumni fellowships, participate in activities, counsel the alumni board on matters of young alumni, and welcome graduating seniors into the Alumni Association. Meet your YAC Representatives. Reunion Committee volunteers are the key to homecoming's success. With 14 classes in reunion annually, these committees renew each calendar year. Members are leaders among classmates as they plan their reunion celebration. Their efforts create opportunities for classmates to rekindle friendships and strengthen Furman connections. Learn more about the committees. The Student Alumni Council (SAC) provides enriching events to the student body and encourages student loyalty to the university. Council members work closely with the Alumni Office and the president attends Board of Trustee meetings to represent student interests. 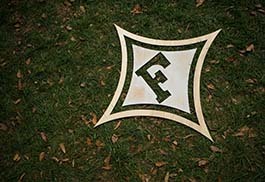 Apply or nominate an individual for a board or council position by sending an email to alumni@furman.edu.